Sometimes I feel that I am thisclose to converting this into a board blog, but I can’t help what I like. 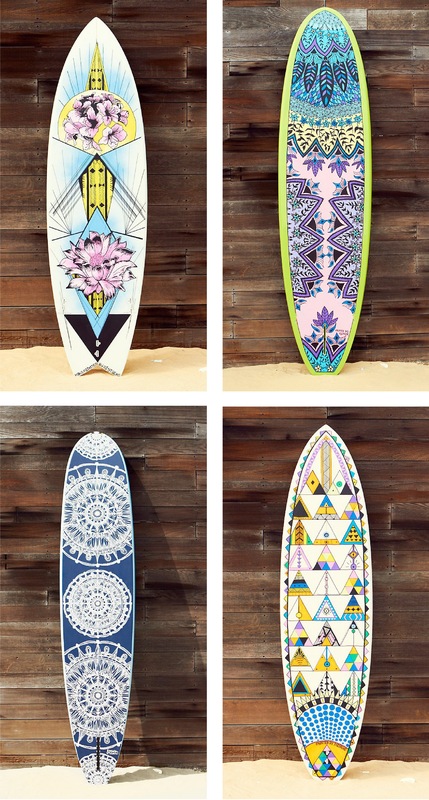 As long as there are beautiful boards being made, I shall keep swooning and showing them. This latest quartet is part of Free People‘s FP Movement collaboration with Quiksilver, world class shapers, and Pistache. They cost a pretty penny (like a few months rent), but are undeniably striking. The first one is my favorite since it has an 80s surf vibe.